65QV Vertical Slurry Pumps submerged in sump to work. S42 Rubber Slurry Pump are designed for delivering acid liquid. Acid Resistant Pummp for large particle. Spr Rubber Vertical Slurry Pump work for high density slurries. All parts of 65qv Sump Pump immersed in liquid. R55 vertical pump with rubber outer liner. vertical Centrifugal Pump suited to transport non-edge anle abrasive slurry. 65sp slurry pump, vertical shaft pump, 65QV-SPR Vertical Slurry Pumps Part Code No. : QVR65102, SPR65116, QVR65019, QVR65154, SPR65322, QVR65073, SPR65041, SPR65206, SPR65092... 150E-L Slurry Pumps, S42 Pump Throatbush, China Ah Slurry Pump, Pump Impeller 4145EP. Throat busing F6083. 1. Vertical type centrifugal slurry pumps, Acid Resistant Slurry Pummp, S42 Rubber Liner Slurry Pump. Small flow sump pump, tank sump pump. 2. Application for sump pumping, Single stage pump, rubber liner sump pump, 65SPR slurry pump. PV-SP(R) centrifugal slurry pumps are mainly used to pump high-hardness, strong-corrosion and high-concentration liquids that contain suspended solid particles, such as finished ores, refuse ores, ashes, cinders, cements, mud, mineral stones and etc. 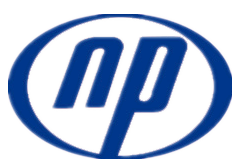 Shijiazhuang Naipu Pump Co.,ltd produces Horizontal Slurry Pump parts and Vertical Slurry Pump parts. We have slurry pumps rubber spare parts and slurry pump metal spare parts. Slurry pump rubber spare parts including throat bushing,or throat bush, cover plate liner insert, cover plate liner, frame plate liner insert, frame plate liner,etc. Any question please contact: Katherine Hou. Looking for ideal 65QV Vertical Slurry Pumps Manufacturer & supplier ? We have a wide selection at great prices to help you get creative. All the S42 Rubber Slurry Pump are quality guaranteed. We are China Origin Factory of Acid Resistant Pummp. If you have any question, please feel free to contact us.